For graduates looking to enter, or re-enter, the world of work, it is no longer enough to just have the theory about how things are done. Hiring managers know that, without real-life experience under your belt, it can be tough to navigate challenges and find a solution when things don’t go according to plan. 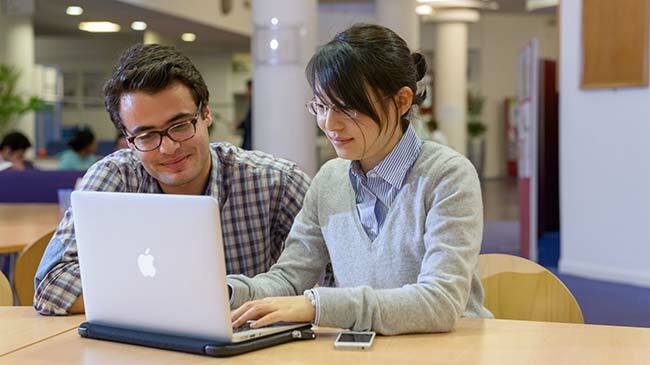 At Cranfield School of Management, we are committed to helping our students to gain practical experience alongside academic business theory, to give them the best chance of success in the real world. We use our long-standing links with industry to ensure every student on our Management MSc is offered the chance to undertake an industry internship as part of the course, thereby allowing them to put their skills into practice and gain the exposure they need to grow. Jonas Geelhaar interned at semi-conductor firm Arm Holdings in Cambridge during his Management MSc at Cranfield and now works as a consultant with PwC in his native Germany. Tim Ballard is general manager at engineering services firm Finning – one of the companies that currently hosts Cranfield MSc students. While Jonas’ internship experience didn’t translate into a full-time job right away, it offered him the chance to experience working in the UK and allowed him to broaden his business knowledge and experience ready for the diverse consulting role he really wanted at PwC. Jonas said: “The internship underlined the relation between theory and practice throughout the program. You get three months to go out and put into practice what you’ve learned. This is linked with your thesis, so you have your client and you solve a problem and write about that. “For me, as a foreigner, it was a great opportunity to combine my educational experience in the UK with work experience in the UK, and fantastic preparation to later start my career at a UK company. Several of Jonas’ Management MSc classmates went on to join the companies they interned with as employees, and it wasn’t just them that profited from this. Companies offering placements to Cranfield students benefit from having high-level, fresh talent with new ideas working for them for a three-month period and can use it as a testing ground. Tim’s company hosts Cranfield students every year, and he cites the quality of candidates and the opportunity for the company to learn something new as two of the major reasons for continuing to do so.